HMD Global brought back nostalgia last year by bringing the Nokia 8110 with a new design. Looks like Motorola is working on the same path as well. The Lenovo subbrand could be bringing back the Motorola RAZR to the market this year. And reports interestingly suggest that the Motorola RAZR could be launching as a $1,500 foldable screen smartphone.nThe company is yet to reveal official details regarding the same, however, reports suggest that the revised and newer version of the Moto RAZR could be launching as early as February. Considering rumours are tipping February launch date, it is highly possible that the Motorola RAZR could be launching at the Mobile World Congress 2019 which is scheduled to take place in the last week of February. Notably, this year’s MWC will see much bigger announcements than ever before. Before the smartphone carnival starts, Samsung will be launching its S10 series of phones — Galaxy S10, Galaxy S10+, and Galaxy S10 lite — together with Galaxy Foldable Phone and Samsung 5G phone aka Galaxy S10 X. A report coming from the Wall Street Journal suggests that Motorola will be bringing back the Motorola RAZR phone this year. The Motorola RAZR will launch as a foldable screen phone and could be priced around $1,500. 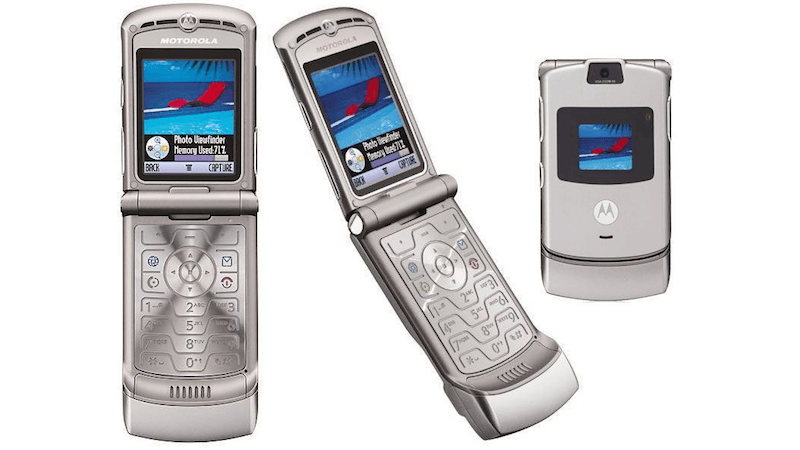 To recollect, there was a time when consumers were crazy for the original Motorola RAZR phone. It was one of the most iconic phones made by Motorola. This year, several smartphone manufacturers are planning to launch their respective foldable phones. Samsung has been working on its foldable phone for a long time now aka Galaxy F and reports suggest that the South Korean smartphone maker will be finally launching the phone on February 20. The Galaxy F is said to launch alongside Samsung Galaxy S10, Galaxy S10 Lite, Galaxy S10+ and lastly the 5G phone from Samsung, which could possibly be called Galaxy S10 X. The WSJ report reveals that the new Moto RAZR will be available exclusive to Verizon in the United States. The report further suggests that the Moto RAZR is still in the testing stage and some of the key details are yet to be finalised. As of now, none of the specification details or design layout about the Moto RAZR has been revealed by the company, but like all comeback phones, this one could also experience a drastic change. Notably, the WSJ further reports that Lenovo is hoping to manufacture over two lakh Moto RAZR devices. Alongside the Moto RAZR, the company is also working on launching four phones under its Moto G7 series including Moto G7, Moto G7 Plus, Moto G7 Play and lastly Moto G7 Power. Motorola is yet to reveal launch details of the phones. The company will likely send a media invite in the next few days. Looks like Lenovo wants to Motorola once and for all. The world is in a recession and Lenovo wants to sell US$1500 phones ??? People don’t have ready money. So-called high flying executives drink tea at open air tea stalls & can’t afford a three figured snack. Get real!! People are ready to pay for a lot of things, especially those in the US. This phone is good for the ultra rich peeps who are actually gonna be few in number. I’d like to see how this foldable screen phones turn out. The tech will become cheaper by 2025. 5G too. Price is too high… $1500 Unbelievable. The price is not affordable for most of the Indians.